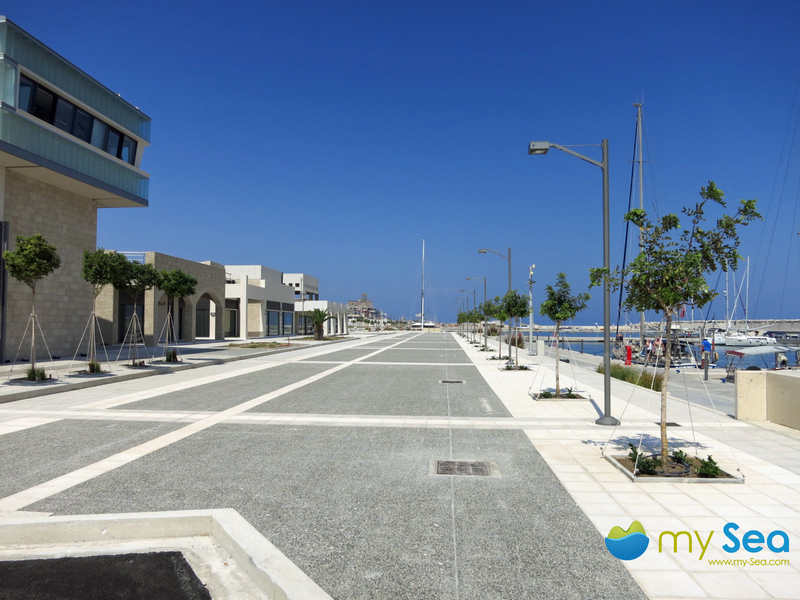 The work on the new Marina in Rhodes started many years ago but then fell into a deep sleep. Because of problems with the authorities, all work stopped and the site lay idle for many years. 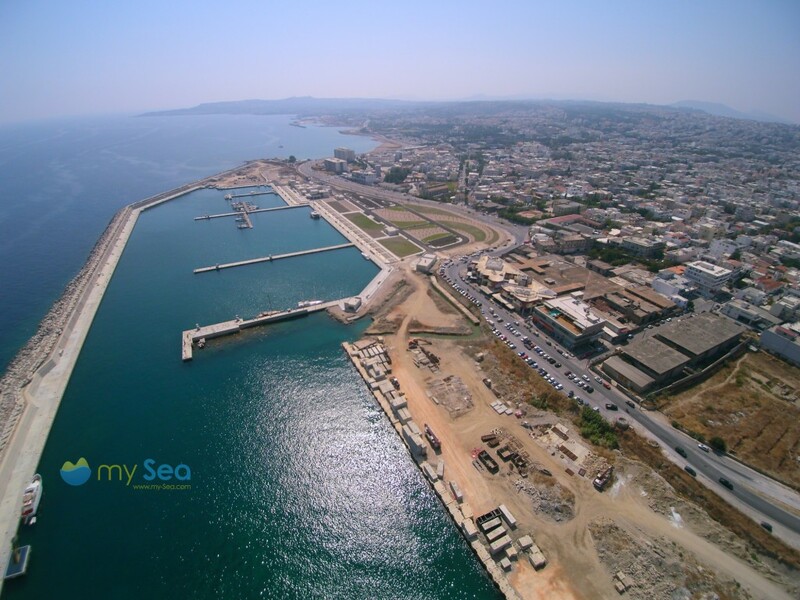 Insiders from Rhodes even assumed that the marina would always remain unfinished. And in actual fact, nothing happened for a long time. The only yacht harbour was Mandraki Marina. 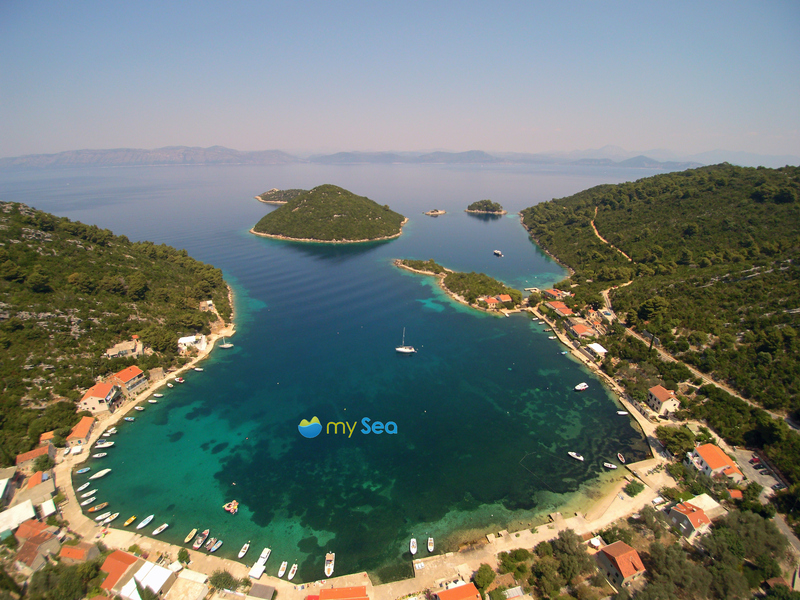 In summer 2015 mySea users very unexpectedly reported that the marina was up and running. 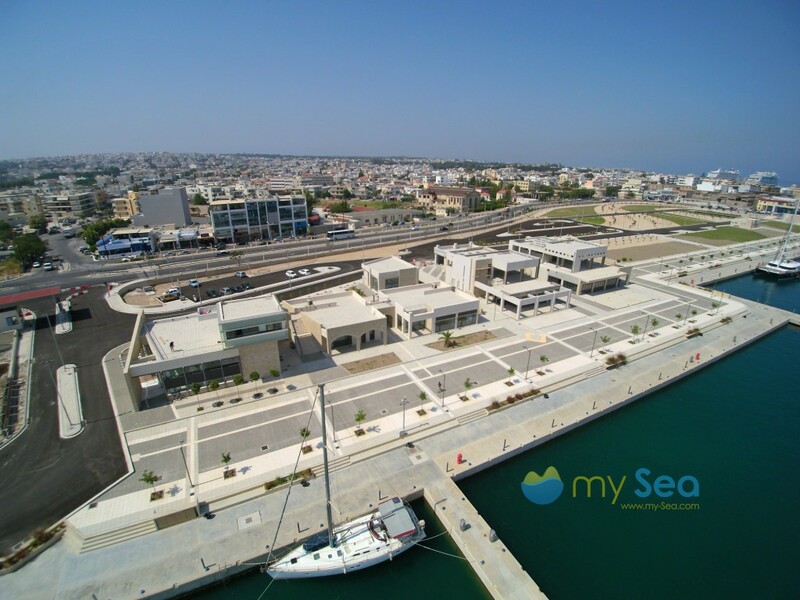 And as it is a rare event for a marina to open in Greece, mySea got onto a plane to Rhodes to get first-hand information. We arranged to meet Christoforos Charisis, the manager of Rhodes Marinas. 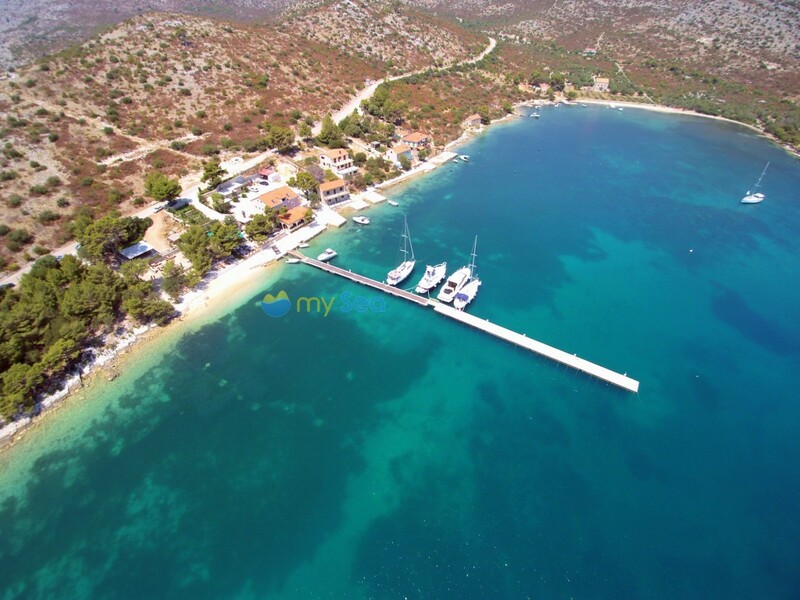 First things first: the new Marinas Rhodes has in fact commenced operations but it is far from being finished. There is still a lot of building work going on at the site. Many buildings are still shells, others are ready to move into. Apart from one yacht agency all of the premises are, however, still empty. There is still no bar, café or restaurant. However, you only have to cross the busy street to find various restaurants, a bakery and two supermarkets. Christoforos Charisis assures me, however, that many of the premises in the new builds are either already let are about to be let. According to him, an exclusive restaurant, a coffee chain, various clothing stores, a gym with a spa area, a chandlery, service agencies as well as a rental company for vehicles and scooters will be moving in. The sanitary facilities and the room for washing machines and dryers are, however, finished. The atmosphere is, as expected, modern and functional. 80% of the berths have already been equipped with mooring lines, the missing 20% will be coming in winter. Water, electricity, Internet and TV connections are also available. 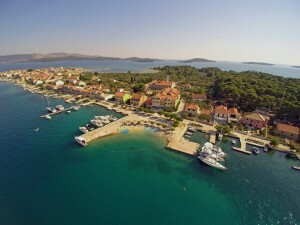 At Rhodes Marina, free Wi-Fi (1 Mb/sec.) is standard. High-speed connections can be obtained for an additional charge. Wired LAN connections are available, too. Connections with the typical RJ-45 connectors have been integrated into the power points. 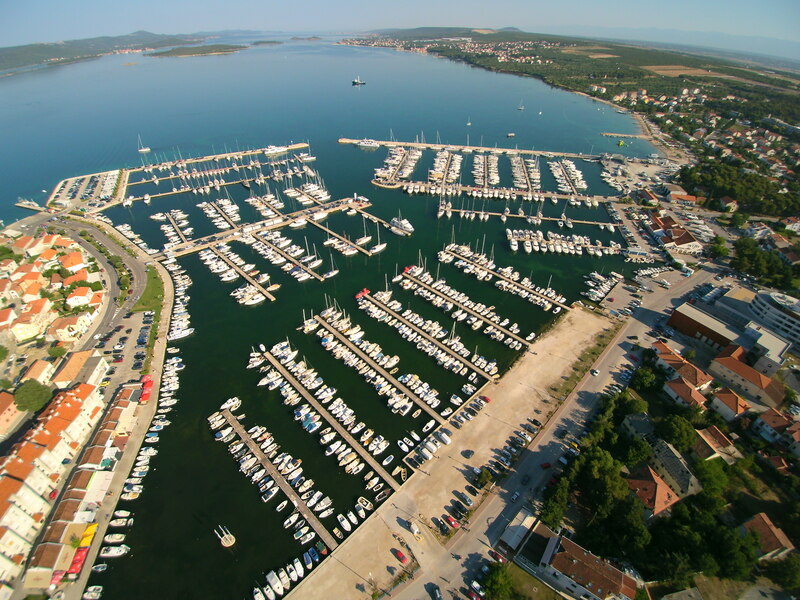 The marina has berths for up to 380 yachts. 10% of the berths are going to be available to charter companies. Yachts up to 60 m long can moor at the breakwater. CCTV cameras have already been installed there. The other berths are also going be fitted with a camera surveillance system. Therefore, yacht owners will be able to keep an eye on their yachts even during winter. The entire marina is fenced and monitored by security staff. 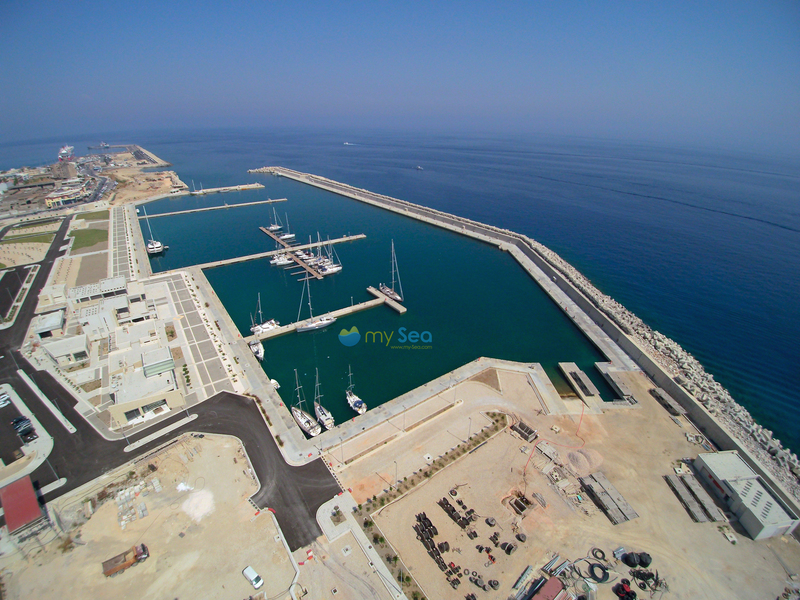 The new Rhodes Marina is located about 2.5 km from the old town, the town of Rhodes is about 4 km away. A taxi into town costs about 7 euros each way. The fuel station located at the north mole is in fact ready but still has no operating licence. They are planning to open for the 2016 season. Until then, boaters have to fall back on the tankers as is otherwise customary in Greece. There are no cranes in the marina at the moment. 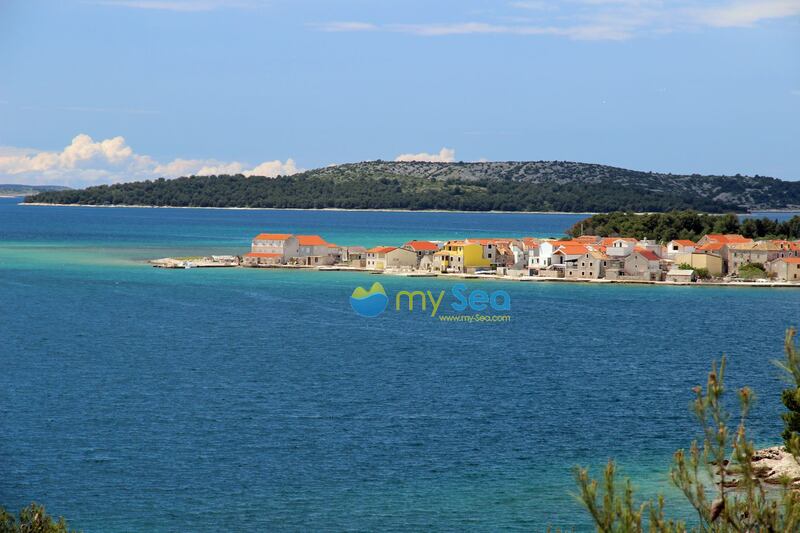 The area for dry berths has a capacity for about 220 yachts and should be ready by 2017. There will also be a powerful crane there by then. 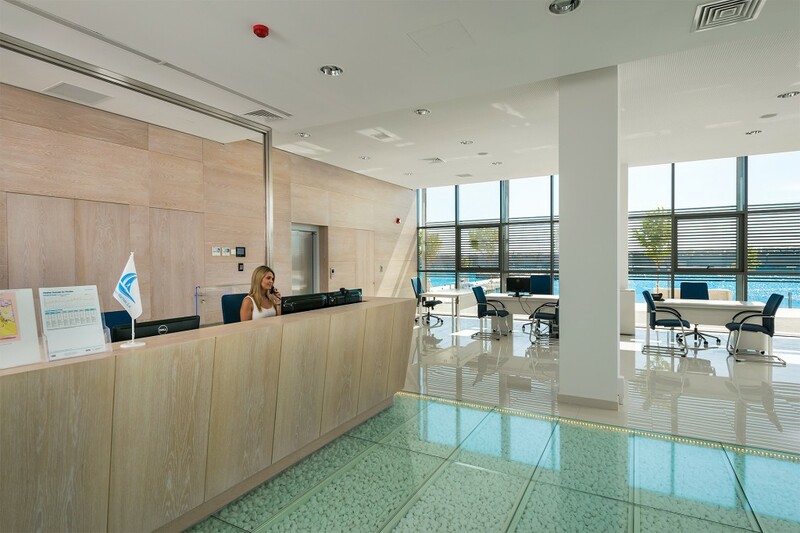 The completed facilities as well as the intended opening of exclusive stores and restaurants shows the direction the marina is taking: Rhodes Marinas is to become a resort for super and mega yachts. So far, the density of super and mega yachts in the Dodecanese is still comparatively low. If you go across to Turkey, it’s a different story. 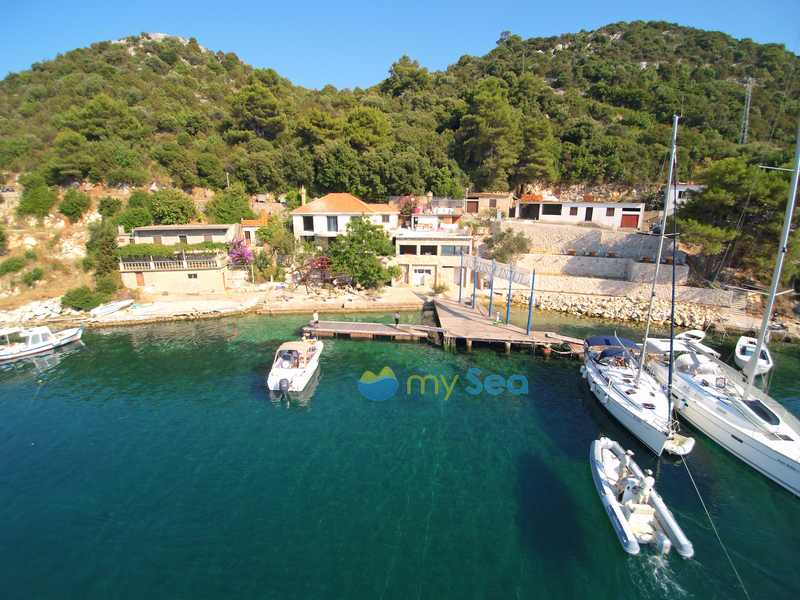 Here, many exclusive marinas have sprung up, such as the Palmarina in Yalikavak or the Club Marina in Gocek. 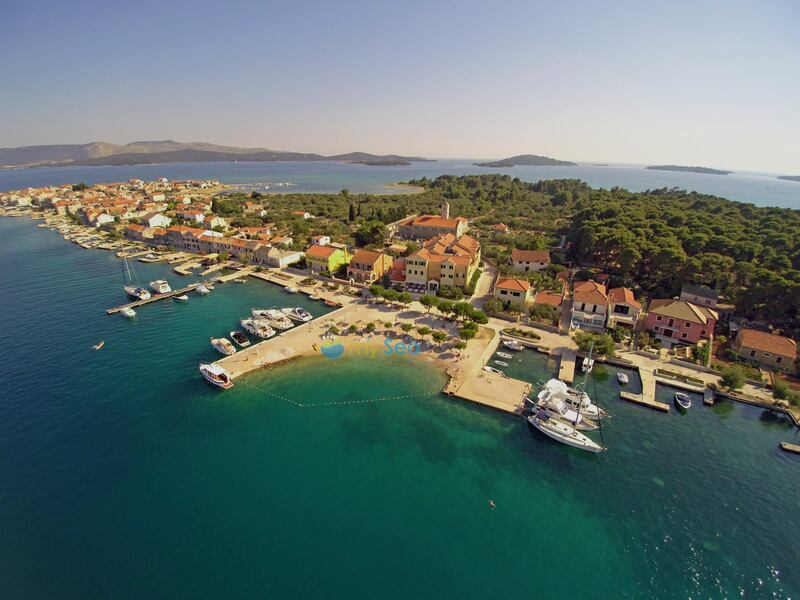 Whether Rhodes Marinas’ strategy is successful and well-heeled customers moor here, remains to be seen. 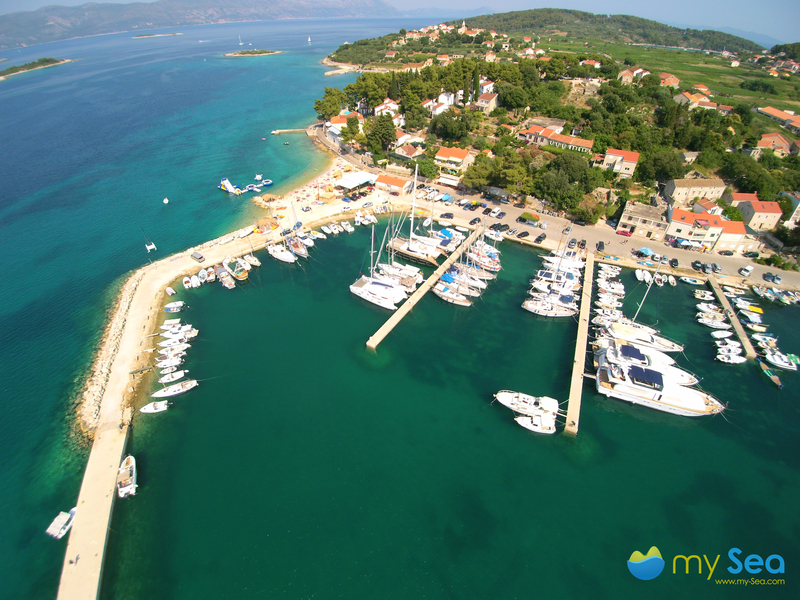 Find out more about Marinas Rhodes on interactive cruising guide mySea.